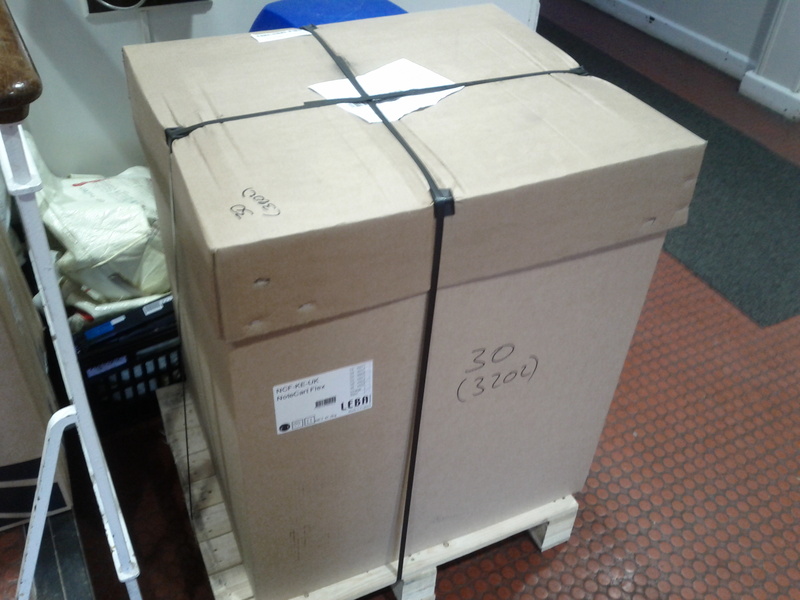 It started with a call from the receptionist one afternoon… “There are some cardboard boxes in reception for you”. I’m pleased to say they were telling the truth. 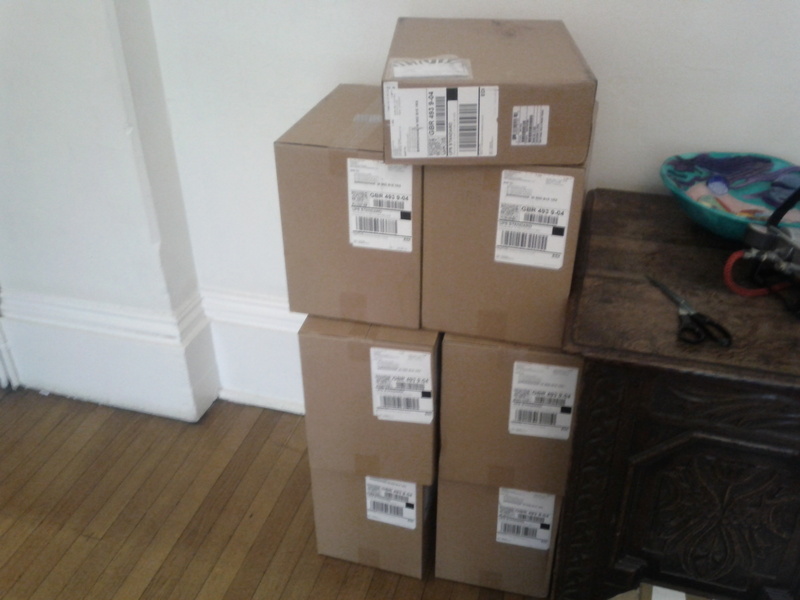 A tower of seven cardboard boxes… I wonder what they could be? 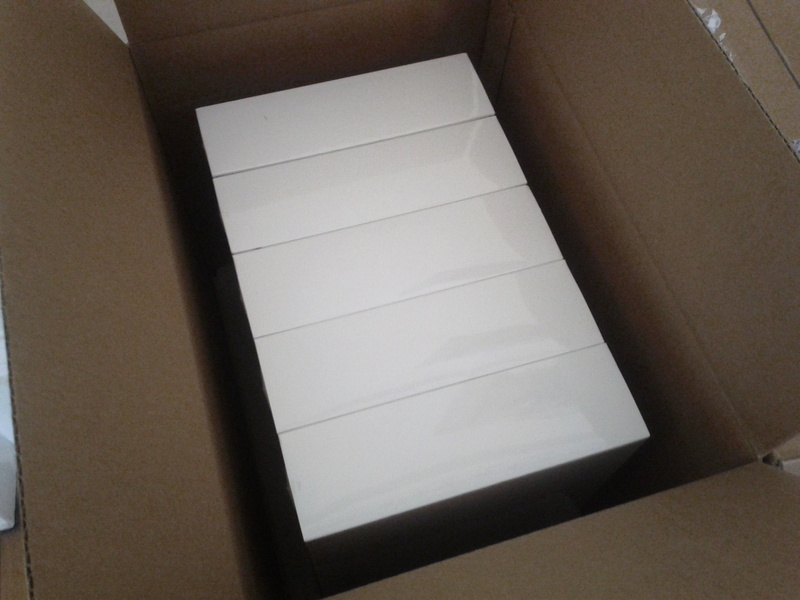 Upon opening the six larger cardboard boxes, they were filled with 5 iPad Air 2’s each. 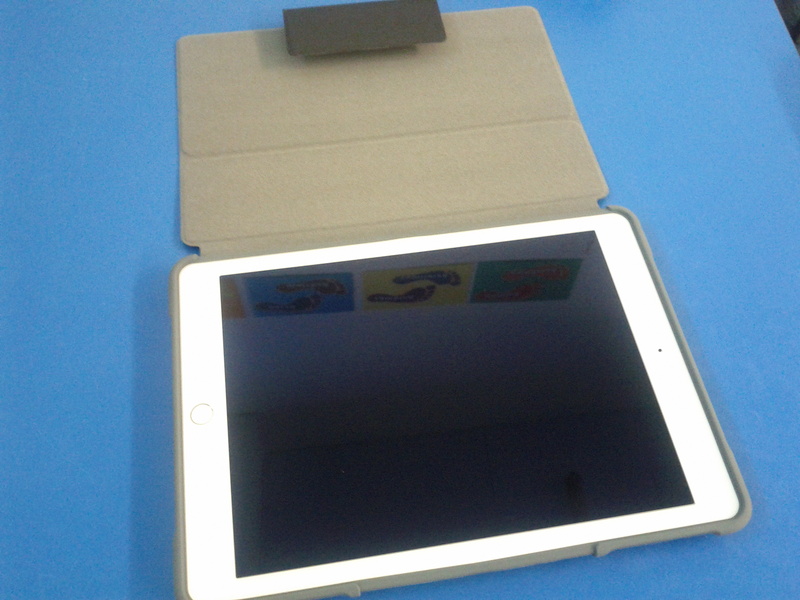 Located in the smaller cardboard box on top of the stack of other boxes was the 11 inch MacBook Air, which would be used to look after and configure the iPads. It went quiet for a few days once that delivery had arrived, so I chased up our supplier to make sure that they hadn’t forgotten the remaining items we needed to have. 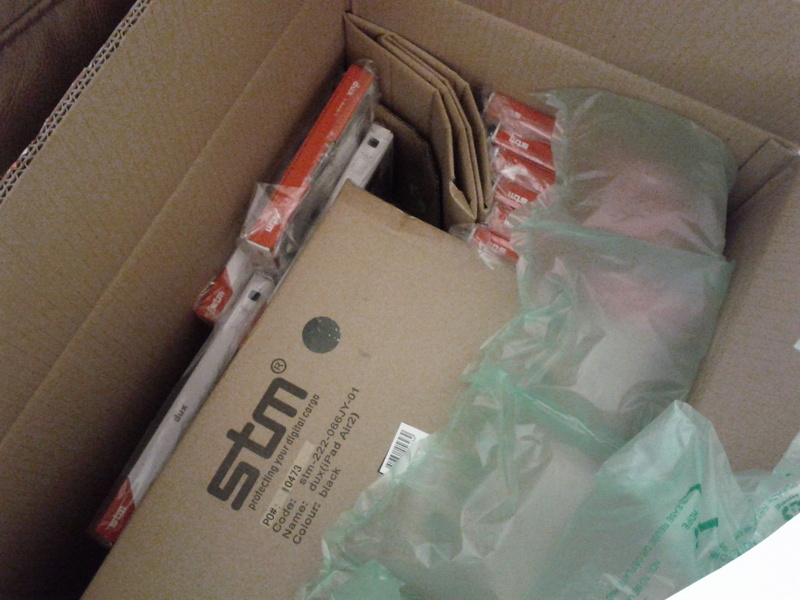 Eventually, the trolley for storing and syncing them arrived, in a cardboard box too. After unboxing it from its protective cardboard packaging and installing the handles, we moved it into the location were it’d spend most of its life. By a happy coincidence it fitted perfectly into a space we hadn’t measured. 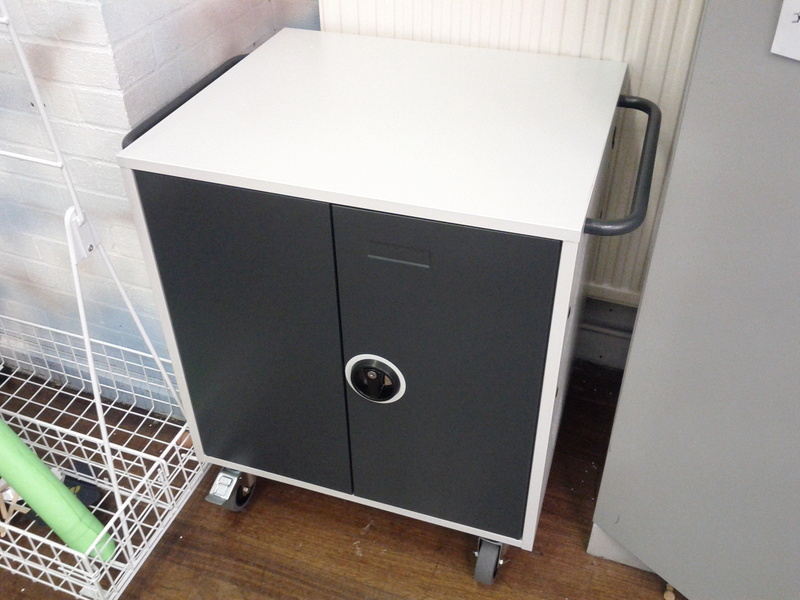 It looks like a safe, which is good, as it probably contains more valuable valuables than the schools’ actual safe! 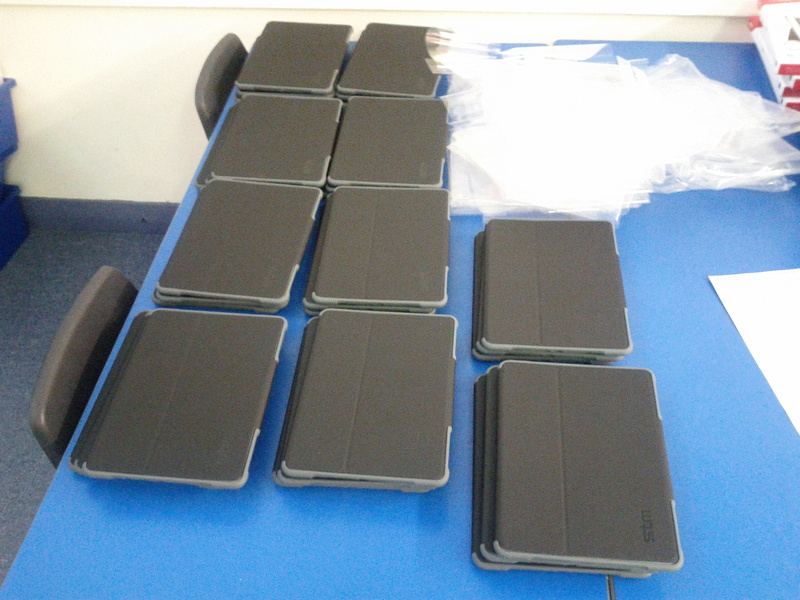 On the same day at the trolley arriving, the cases for the iPads also arrived… inside a larger cardboard box. 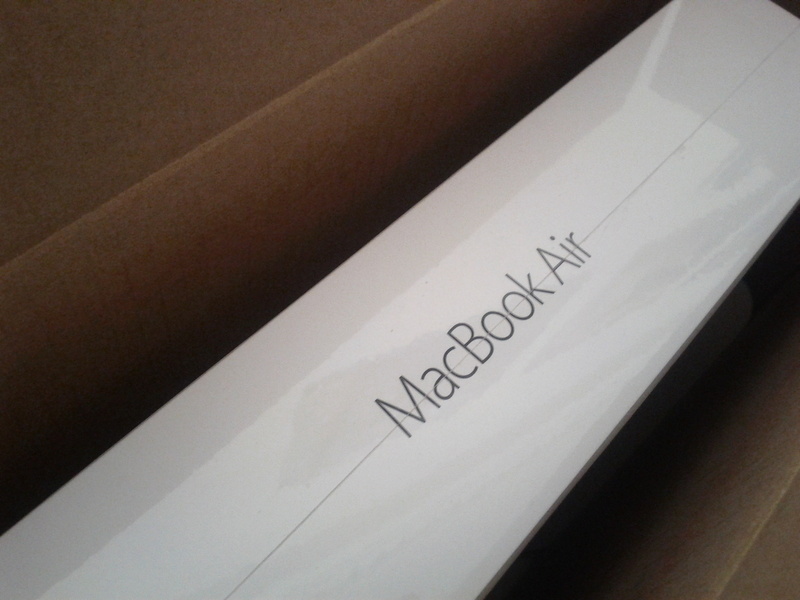 You’ll never guess what was inside the cardboard box… another cardboard box! 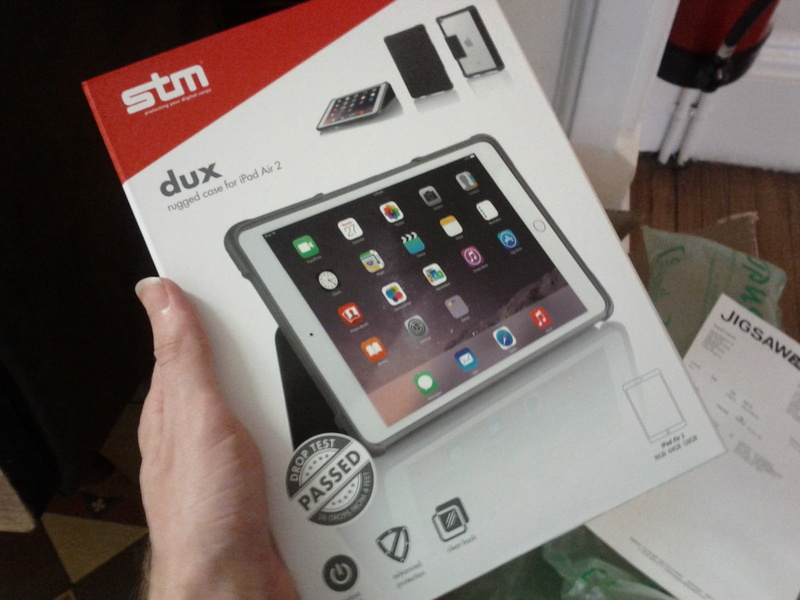 We went with the STM dux cases for the iPad Air 2, as this will hopefully prevent any accidental damage being done to the iPads. 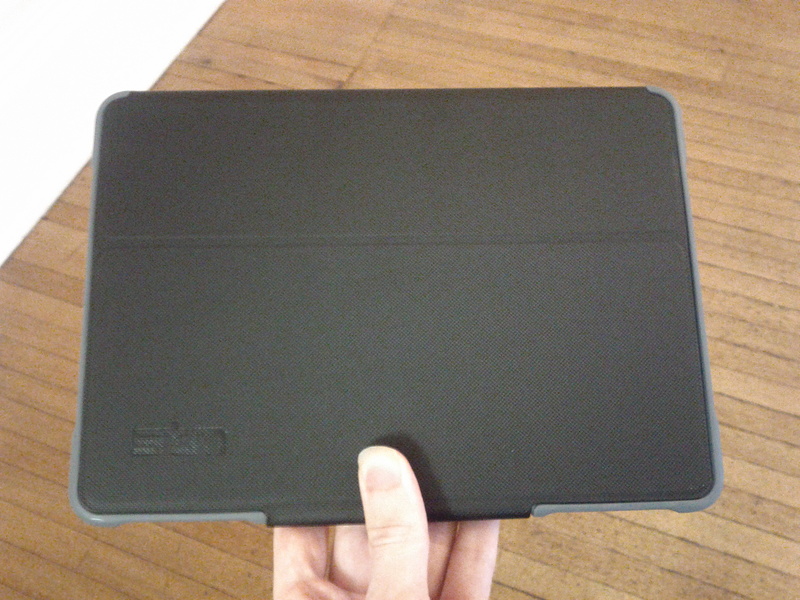 They also have a clear back so we can quickly see the asset sticker on them too. 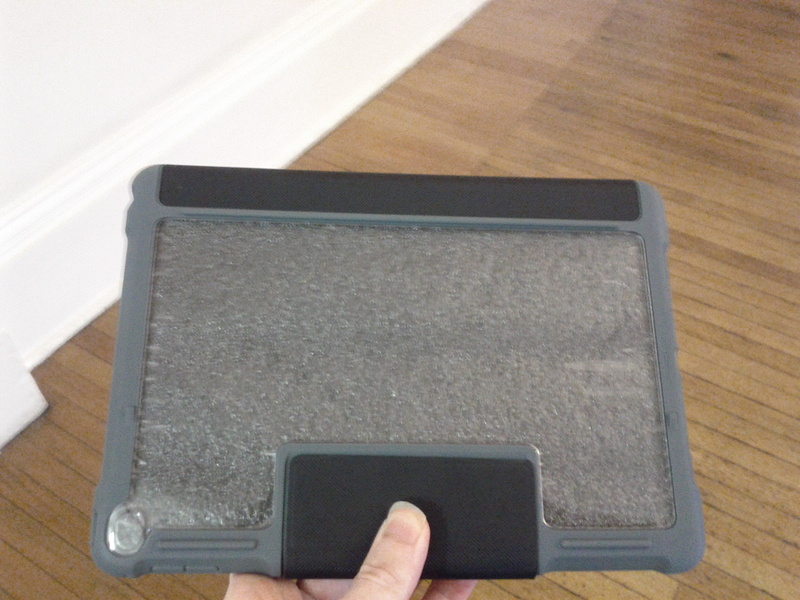 Oh, and the packaging for these cases was cardboard too (with magnets used to hold it closed). Good news everyone! (From the packaging) “Drop Test Passed – 26 drops from 4 feet”… I guess it smashes beyond repair on the 27th drop? Now that we had all of the items we needed, it was time to do some unboxing! During this process, we took over a whole classroom, as we needed the space to put the various items. 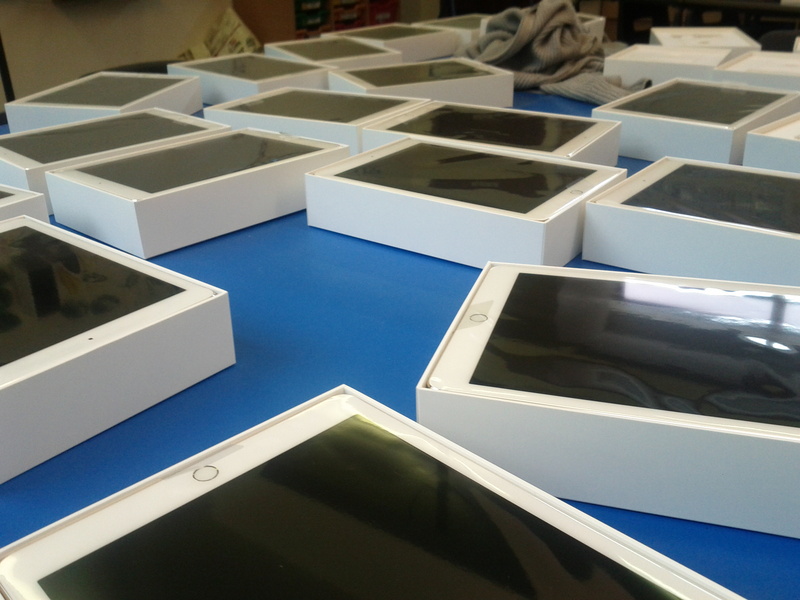 The first things we unboxed were the iPads. Right, who left the scissors open on the table? Who doesn’t like looking at Apple products? 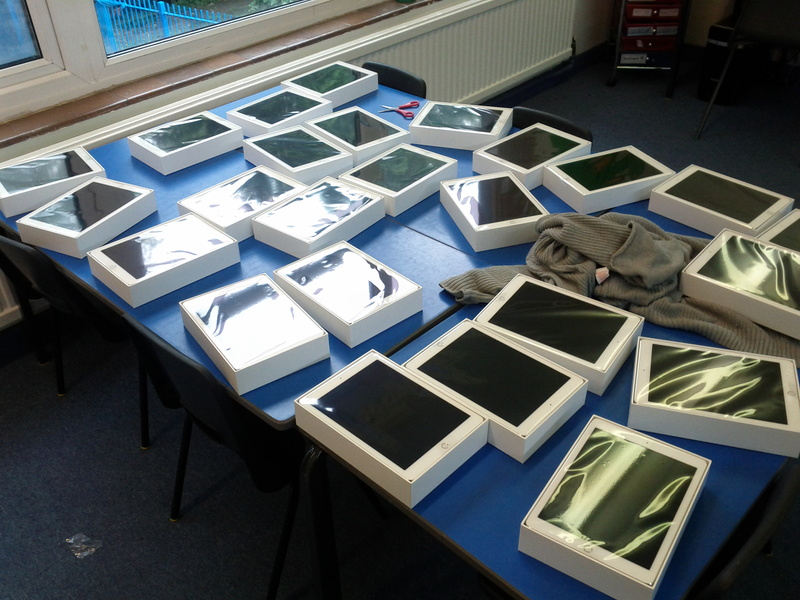 We also unpacked the cases for the iPads and placed them on another table too. 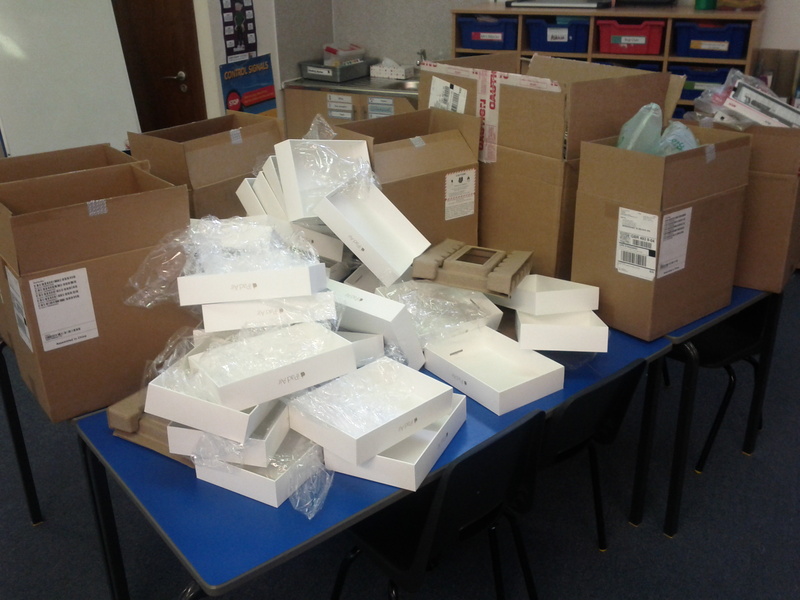 Well, it was the holidays, so no-one is going to need the classroom any time soon. Oh, and if you’re wondering why I haven’t been mentioning cardboard packaging for a while, I’ve been storing it all up for you. I hope you enjoy it! Do you remember that thing called “The Environment“? Posted in Work Life. Tagged Apple, iPad.